After the initial documents of a divorce have been filed, the “discovery” phase begins. Discovery refers to the legal process of exchanging information and documents between spouses that are needed to either come to a settlement agreement or prepare for trial. This process often requires spouses to gather a number of financial documents and to answer questions relevant to their divorce. In order to legally require your spouse to provide you with information or documents, you must send formal discovery requests. These typically come in two different varieties. The first is called interrogatories, which are questions asked to your spouse which must be answered truthfully. The second is called request for production of documents, which, as the title suggests, is a list of documents requested from your spouse. Not all information requested during discovery must be provided. If a discovery request goes beyond the relevant issues of the divorce, then a spouse may object to providing such information. Nebraska law allows spouses 30 days to issue discovery objections. This deadline starts the day that a spouse (or attorney) receives the discovery request. If a spouse fails to object during this timeframe, they are obligated to answer the discovery request. It is important that you discuss with your legal team whether or not information sought during discovery may be objectionable. Paystubs. Bank statements. Car titles. 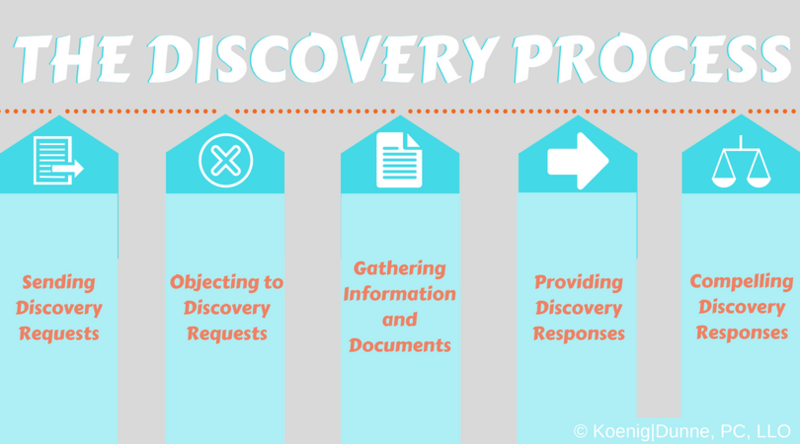 After receiving discovery requests, you will likely have to collect a number of documents. Some documents may be harder to obtain than others. Discuss with your attorney any concerns you may have about obtaining the information or documents requested of you during discovery. After you provide the information and documents requested, your legal team will help you to compile the information in the correct format to comply with Nebraska legal requirements. Once your discovery is ready to be submitted, your attorney will provide your responses to your spouse’s attorney. Under Nebraska law, your spouse has 30 days to provide discovery responses after receiving the requests. If your spouse refuses or fails to do so, then your attorney will likely ask the Court for help in “compelling” these responses from your spouse. While court interventions vary, courts do have the ability to sanction your spouse by either assessing fines or by forbidding your spouse to use the information that was not provided at trial. The timeframe for discovery differs by case. From several weeks to over a year in some more complicated divorces. Your legal team at Koenig|Dunne is here to guide you through the discovery process to ensure that you are able to obtain the information that you need to complete your divorce.